The compact Rigel PULS-R universal SpO2 simulation finger is the latest accessory to the Rigel UNI-SIM and SP-SIM vital-signs simulators. Able to simulate accurate SpO2 simulations in 1% resolution from as low as 30%* using the pre-programmed manufacturer specific R-curves,the PULS-R can also be configured to meet customer specific R-curves using the simple to use configuration tool. Unique probe placement LED’s ensure accurate and correct simulation for each type of SpO2 probe. 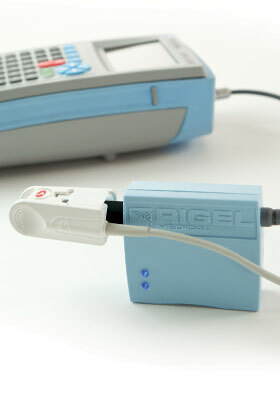 The Rigel PULS-R has status LEDs which light up to indicate whether a probe connection has been achieved.